For the last six years, the Sisters of St. Benedict of Our Lady of Grace Monastery in Beech Grove have found three women who have heroically served in the roles of messenger, defender and companion, and recognized their service with an “Angel of Grace” award. This year’s recipients are former Indianapolis WRTV 6 news anchorwoman Barbara Boyd for the “messenger” Archangel Gabriel Award; Angel’s Wings, Inc. founder Wendi Middleton for the “defender” Archangel Michael Award; and 20-year director of religious education at St. Joan of Arc Parish in Indianapolis—and prodigious volunteer—Mary Anne Schaefer for the “companion” Archangel Raphael Award. These women will receive their award at a fashion show and luncheon fundraiser honoring all women and benefiting women’s programs at the Benedict Inn in Beech Grove. The event will take place at Primo Banquet Hall in Indianapolis from 10:30 a.m.-2 p.m. on Sept. 28 (see below for more details). Barbara Boyd is known to many as Indianapolis’ first black female television journalist and news anchor. But she is most famous as the woman who raised awareness of breast cancer by being the first television personality to report on her own struggle with the illness as it occurred in 1972. After opening a Head Start program in 1965, Boyd switched to a career as a journalist with Indianapolis’ WRTV 6 in 1969 at age 39—with no journalism background. 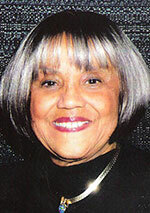 She is now listed in the National Association of Black Journalists Hall of Fame and the Indiana Journalism Hall of Fame. Part of her membership in these elite groups is due to reporting on Reach to Recovery, a program operated by the American Cancer Society in which breast cancer survivors help and mentor current patients. From her hospital bed two days after undergoing a mastectomy, Boyd recorded a seven-minute news spot on her experience with breast cancer. She shared about how she detected a lump in her breast after doing a self-examination, the surgery she underwent to remove her right breast, and how Reach to Recovery helped her and women like her. At a time when breast cancer was talked about in hushed tones, this was groundbreaking. The public response was tremendous. By sharing her story, Boyd opened the door to women with breast cancer, allowing them to talk about their struggles openly. She went on to do consumer reporting and human interest stories. Boyd retired from WRTV 6 in 1994. Since that time, she has been involved with Indy Creative Aging, the March of Dimes, Indiana Children’s Wish Fund, Habitat for Humanity and other organizations. 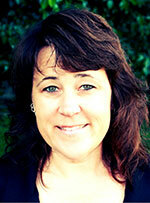 Wendi Middleton got “hooked on doing things for women in prison” as a volunteer in college. For 10 years, she worked for Prison Fellowship Ministries, a non-profit organization training volunteers to spread the Gospel and minister to prisoners and their families. In 1999, Martinsville resident Middleton was contacted by a volunteer in Evansville, asking on behalf of a pregnant prisoner if there was an agency in Indianapolis that would care for the baby while the woman was incarcerated. Middleton researched, to no avail. So she and her husband cared for the newborn until the woman was released two years later. After her release, the woman stayed with the Middletons, but soon fell back into a drug-addicted lifestyle. The organization also hosts in-prison baby showers and offers case management services to pregnant or recently delivered incarcerated mothers. A mother of four and custodian of a niece and nephew, Middleton has cared for several babies of incarcerated women. St. Roch Parish member Mary Anne Shaefer of Indianapolis does not speak of ministries “she” began, but rather of ministries “we” began—“we” giving recognition to God’s role in all she does. For more than 20 years, Schaefer has served as the director of religious education at St. Joan of Arc Parish in Indianapolis. 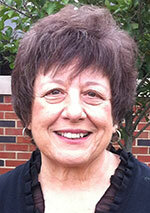 Schaefer also started Holy Family Ministry, an outreach program at St. Joan of Arc Parish. The ministry reaches out to those in need within the parish and beyond. “Our main focus is the [Officer David S. Moore] food pantry,” says Shaefer. The food pantry, which has grown from a parish closet to its current location at the Community Court of Indianapolis, is open every other week for a total of eight hours. In that short span of time, the food pantry serves 150 families, says Schaefer. “We also help with utilities, offer school assistance and just try to meet people’s needs—and that’s you and me, because any of us can lose a job,” she says. With God’s help, Schaefer also started Women of Faith, an annual, interdenominational event for local Christian women to share their love for God. The event draws 350-400 women, says Schaefer. She also created Daughters of Mary, a group of women from St. Joan of Arc who meet monthly for prayer and provide support to the food pantry and Women of Faith ministries. More information about the Holy Family Ministry can be found by logging on to www.sjoa.org/church/sja-groups.